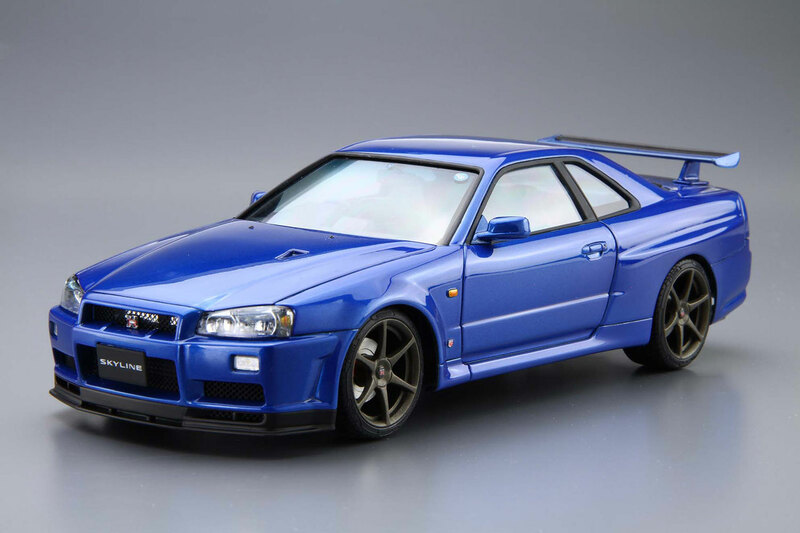 BNR34 GT-R was released in January 1999, with overwhelming specifications even against its predecessor BCNR33 GT-R. It was made to be shorter, and the front overhang was reduced. The valve covers of the even-refined RB26DETT were painted in glossy red, also it was equipped with a carbon fiber hood with a NACA duct. Its 6-speed transmission is supplied by Getrag. 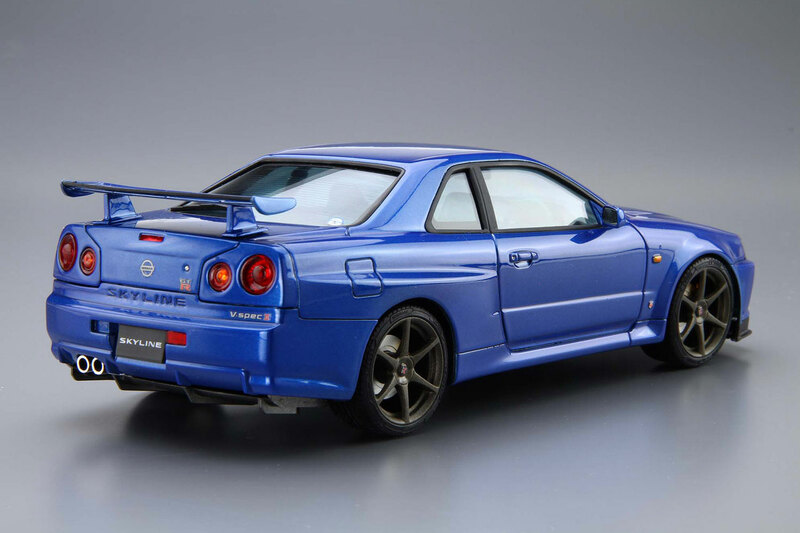 Due to Japanese law at the time, the car power was limited to 280PS (the maximum permitted value) yet generates maximum torque 40.0kg-m which was the top rate among the JDM cars available then. The history of this legendary car saw an end of production when the new gas emission law came to an effect in August 2002. This model kit recreates various features of V-spec II late production, such as NACA duct. Suspensions are working with springs. 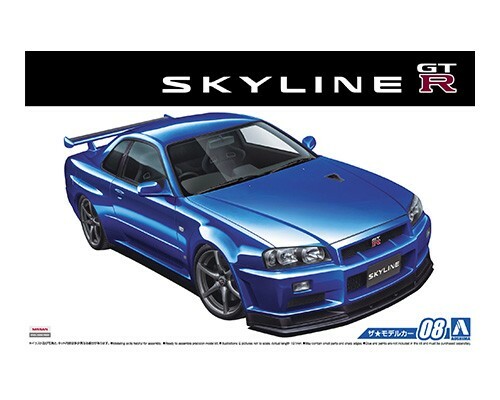 It comes with a window masking sticker and plated parts, also the tail lights are molded in clear color, in order to make the assembly sequence easy and enjoyable.